Farrar Straus Giroux, 9780374107871, 383pp. Will is a young American ad executive in Paris. Except his agency is a front for the CIA. It's 1959 and the cold war is going strong. But Will doesn't think he's a warrior he's just a good-hearted Detroit ad guy who can't seem to figure out Parisian girls. Zoya is a beautiful young woman wandering "les boulevards, "sad-eyed, coming off a bad breakup. In fact, she impaled her ex on a spike. Zoya, it turns out, has been a beautiful young woman for hundreds of years; she and her far more traditionally witchy-looking companion, Elga, have been thriving unnoticed in the bloody froth of Europe's wars. Oliver is a patrician, fun-loving American who has come to France to start a literary journal with the help of friends in D.C. who ask a few favors in return. He's in well over his head, but it's nothing that a cocktail can't fix. Right? 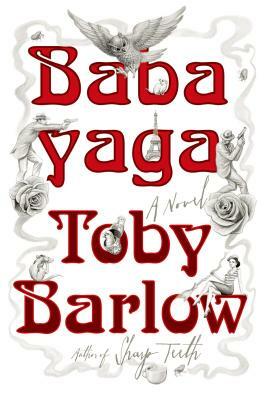 Add a few chance encounters, a chorus of some more angry witches, a strung-out jazzman or two, a weaponized LSD program, and a cache of rifles buried in the Bois de Bologne and "that's" a novel But while Toby Barlow's "Babayaga "may start as just a joyful romp though the City of Light, it quickly grows into a daring, moving exploration of love, mortality, and responsibility. Toby Barlow is the author of Sharp Teeth. He lives in Detroit.